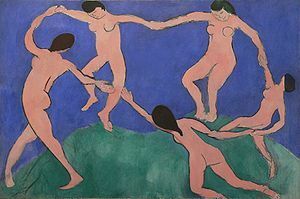 Henri Matisse lived in Nice for more than forty years and his most famous painting is La Danse. 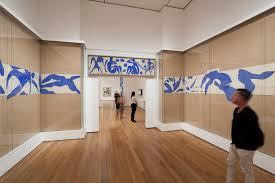 While La Danse is not in the Matisse Museum a great many of his sculptures and paper cut outs are. As no photos were allowed these next two are courtesy of Google. One of my favourite exhibits (if only because it was 'out' there!) 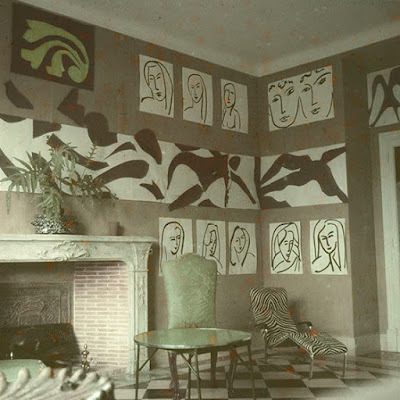 was a ceramic panel that occupied four walls. Created by Matisse's grandson and another artist in honour of the original "swimming pool" Matisse created in his own home when the heat of the French Rivera's summer became too much for him, this space gives one the sense of being emerced in water. The Fine Arts Museum (Musee des Beaux-Arts) is set in a palace built in 1878 for a Hungarian princess and while the building is a work of art the exhibits inside are equally impressive. 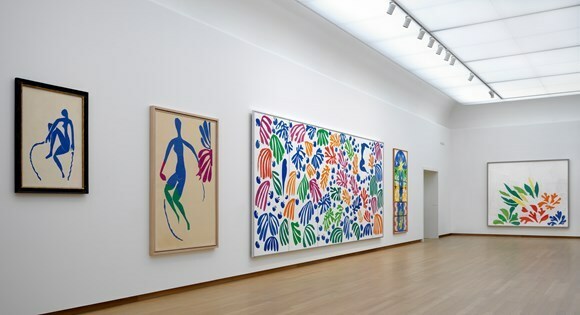 Massive paintings cover equally spacious walls. We could not help but admire the delicacy and transparency of this exquisite marble sculpture. This crucifixion painting reminded us of Dali's St. John of the Cross we saw at Glasgow's Kelvington Art Gallery and Museum, but unlike Dali's painting that was completed in 1951 this Crucifixion was painted four hundred years earlier in 1540. It seemed so modern when viewed alongside the other works of art from the 16th and 17th centuries. The Massena Museum was built in 1898 for the Massena family. It is located directly on the Promenade des Anglais. Speaking of the Promenade, there was originally a pier in Nice but only the shell remains. 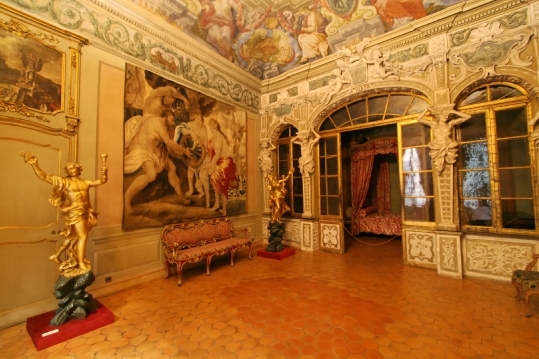 The main floor of the museum is in keeping with how it appeared while the Massena family (shown in the portrait below) lived here. 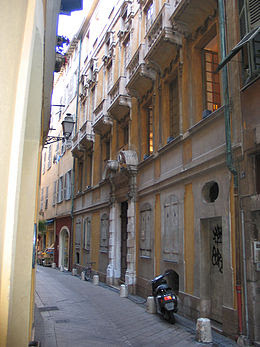 Victor Massena was one of Napolean's marshals and so the upper floor deals with that connection. This is a portrait of Josephine. These items belonged to Napolean. Of particular interest is his death mask. Returning to Old Nice is the Palais Lascaris. 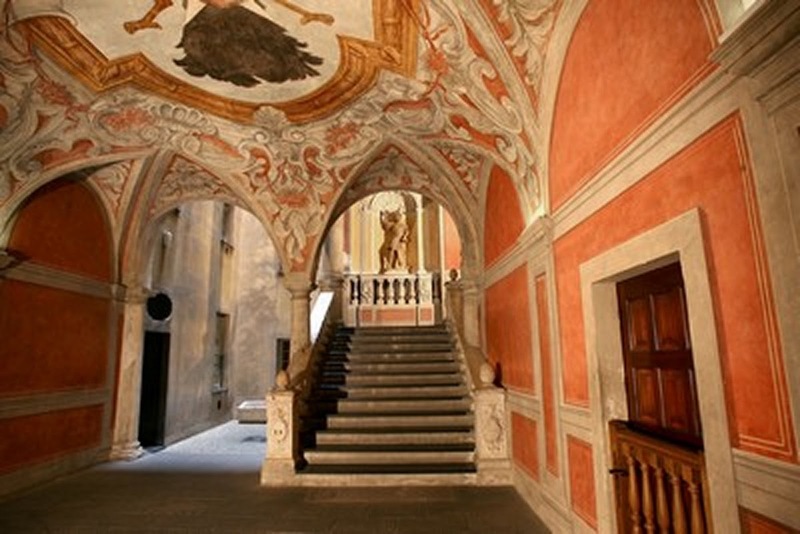 The rich baroque interior with its monumental staircase frescoes captivated me - especially as I looked outside the windows and realized it is located in what was once classified a ghetto. The Anatole Jakovsky International Museum of Naive Art is another gem both in the building and collection. It was one of our favourites if for no other reason than the artists are not normally well known, professionally trained nor do they appear to take themselves too seriously. They simply create what they create for the sheer love of it. The Museum of Modern and Contemporary Art building is spectacular inside and out. The upper levels have outside walkways that provide stunning views of the city and my favourite piece is the Calder mobile seen just behind the sculpture of the Loch Ness Monster. The other is a few blocks from the port. 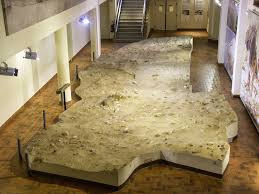 Built on an archeological site excavated in the 1950s it proves man has lived in Nice for as long as 400,000 years. 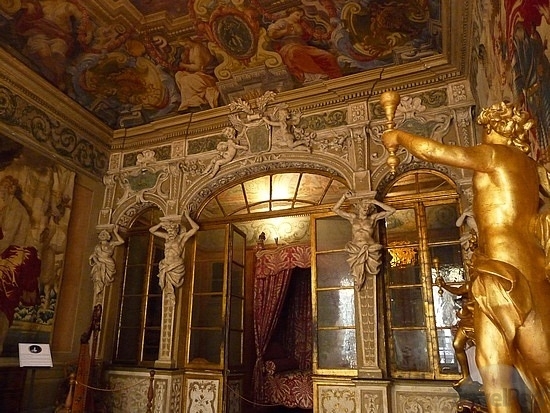 Until January 1, 2015 admission to Nice's museums was free. Then, without warning the price went up to 10 euros. 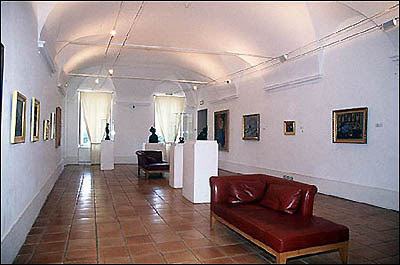 Purchasing a 7-day pass for 20 euros covers admission charges at all fourteen museums. It's good value even though we only had time to tour seven of the fourteen museums. This post is an anniversary of sorts. It's number 250 since this blog began a few years ago. I'm actually laughing as I write this because when I mentioned this to John his response was so typical John. He simply said, "People will be getting tired of you!" Isn't he cute? !